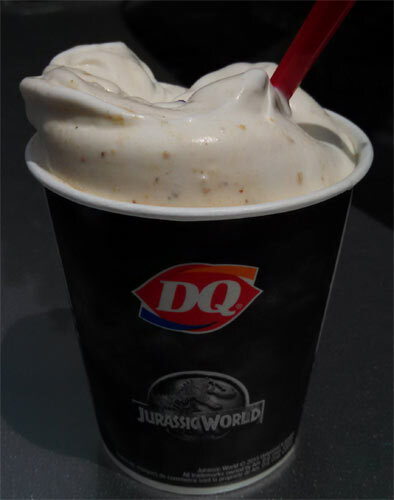 [New for 2015] Oh Dairy Queen, I don't know whether to applaud you or tease you for renaming one of your fanniversary blizzards to tie in to the new Jurassic World movie. At first, I was dealing with dense peanut butter cookie chunks in fairly plain vanilla softserve and I thought "yeah, if you've ever wanted a peanut butter cookie blizzard, it has finally arrived!" As I dug down further, the blizzard became swamped with cookie bits everywhere. With all the chocolate chips mixed in as well, it kind of turned in to a Reese's blizzard. This isn't so much a knock as just a note that if you like the Reese's blizzard, you should definitely like this. In fact, the peanut butter kind of takes over the whole show. 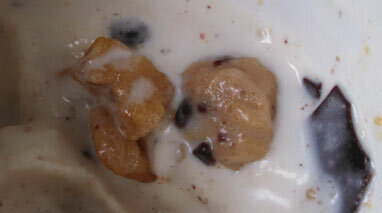 In fact, I had to prove to myself that there was cookie dough mixed in because I couldn't really tell it was there. 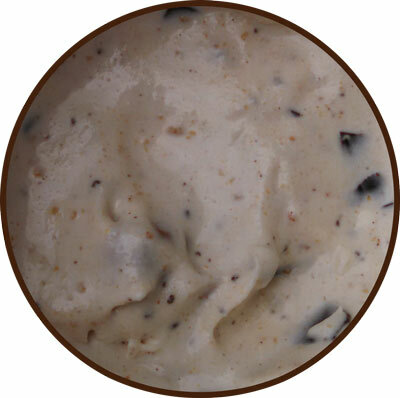 There's just too much lingering peanut butter flavor to tell when you get a plain cookie dough chunk. Did I enjoy it? Ofcourse. Did the pb cookie bits seem a bit too dense at times? Yeah, there was a bit of textural strangeness to them but this is a mild complaint, nothing earth shattering (potentially just a matter of their freshness). The chocolate chips are fine and do add some chocolate flavor on the backend. Like I said, there is a Reeses familiarity here. Overall, a fine summer blizzard. Well done. Even though I was genetically engineered with a soft-serve dependency, I think life will find a way to skip this flavor. The problem with DQ blizzards is their lack of consistency. Every place seems to use different ratios of mix-ins. @Alek: fun idea, but Half Baked is trademarked. @ ANON - Because DQ is a mega giant in the Ice Cream game I , like you, would think each store would be able to follow the corporate specifications to keep ratios consistent. Obviously, not happening. It does not happen here, it' does not happen there, I don't know if it happens anywhere! It really gets me upset. @ DUBBA - I had the Peanut Butter Cookie Dough blizzard last month and it dethroned the smores blizzard becoming my favorite ever. I'm getting everything I want. Salty, Sweet, Chewy, Thuds and Cracks and Crunches. I actually thought the new Jurassic Smash Blizzard was different. Very happy you're reporting that it's the same. Im on my way DQ. Was the blizzard presented to you upside down? @John: I believe this DQ is private, not a corporate entity like a grill & chill, so they dont always abide by the "participating locations" rules. to be honest, i dont really care, its a neat trick but I'm more worried about execution than theatrics. I had this blizzard yesterday, and today I’m confined to the bathroom. Do they use raw eggs in their cookie dough? In recounting the food I ate to my Husband he recalled his own confinement for having eaten the very same blizzard several years ago. @Anon: lots of stomach bugs going around unfortunately, just had one myself. That said, DQ does say they're are eggs in their cookie dough, but I would assume(hope) that it is safe to eat.